« 1/29 What should Wynn Resorts pay Nevada to settle the company’s sexual misconduct case? 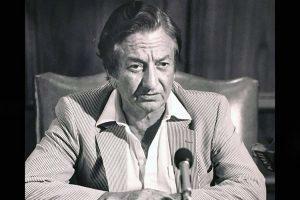 I’ve given up wondering how Meshulam Riklis will be best remembered. Riklis, who died Jan. 25 in a Tel Aviv hospital at the remarkable age of 95, has been portrayed as a rags-to-riches business success in some ends of the media. Entertainment wags recall his at times unintentionally humorous attempts to make an entertainment superstar of second wife Pia Zadora. In Las Vegas, his obituary came and went in the usual manner. Nothing wrong in that, but I think most of the coverage has failed to capture the importance of Riklis to the growth of the casino industry especially on the Strip. He owned the Riviera Hotel & Casino in and out of bankruptcy, and perhaps there’s a special place in the Vegas pantheon for that feat alone. The Riviera’s own tumultuous history is worthy of study. Like Donald Trump, Riklis loved to make deals with other people’s money. More than that, he played what many observers believe was an integral role in the development of the use of high-yield, high-interest bonds and leveraged buyouts of corporations great and small. Before Michael Milken and his talented pirates at Drexel Burnham Lambert made a household name of the term “junk bonds,” there was Riklis analyzing the strengths and weaknesses of companies and finding a way to pull out the best parts and repackage the rest for resale to investors. Under the Riklis hand, companies didn’t change addresses so much as letterhead. He created his trademark Rapid-American Corporation from an amalgam of other companies – he owned many – buying and selling his way into the billionaires’ club. Some of the acquired names that will sound familiar include Culligan, Faberge Cosmetics, Lerner clothing stores, Elizabeth Arden cosmetics, liquor giant Schenley Industries, and Samsonite luggage, to name a few. While Riklis grew ever wealthier, many companies suffered. Consumed from the inside out, they fell while Riklis rose. Eventually, his cordial relationship with the power-hungry Milken turned more than a little heated. Whatever influence he’d enjoyed with Milken, investigative reporter Connie Bruck observed in her 1988 book The Predators’ Ball: The Junk Bond Raiders and the Man Who Staked Them, the power eventually shifted. Milken eventually went to prison. Riklis went to Tel Aviv. Today, Milken’s financial acumen is credited with helping former casino mogul Steve Wynn with reshaping the face of the Strip in the late 1980s. Truth told, Milken’s fingerprints can be found up and down the Boulevard. And Riklis? He’s barely remembered at all. According to Forbes, Riklis’ reign ended with creditors clamoring for a staggering $2.9 billion in unpaid debts. Creditors would recover pennies on the dollar. In Las Vegas, the Riviera itself was a nightmare for investors. If Riklis lost sleep, it never showed. Although he finally sought bankruptcy protection to avoid the fallout from an asbestos litigation associated with yet another of his companies, Riklis never seemed to suffer. But his importance to the development of the casino industry is undeniable. After running the Riviera into bankruptcy, Riklis wisely hired Jeffrey Silver to manage its operations. Silver, a legend among gaming regulators, guided it back to profitability only to have Riklis once again drive it into a ditch. 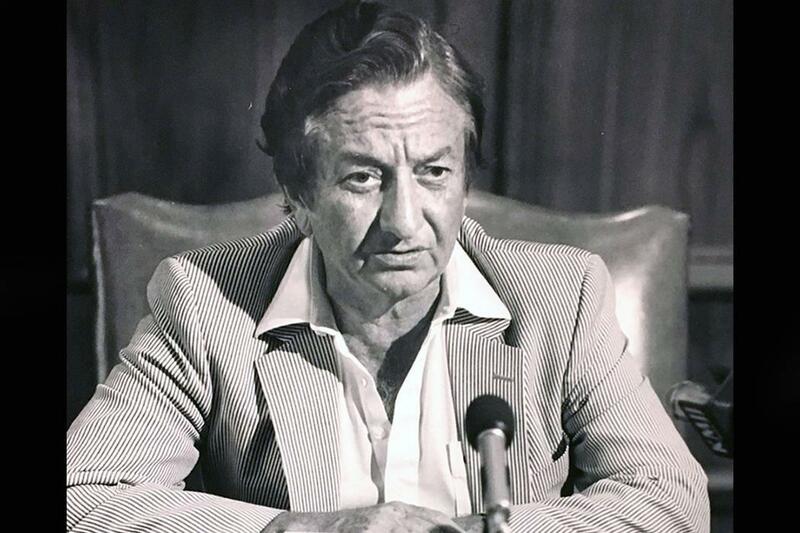 Silver calls Riklis a financial genius who understood the strengths of the free enterprise system, the intricacies of the stock and bond markets, and of course the power of junk bonds. “Really, the catalyst for the rebirth of Las Vegas was Riklis and his grasp of raising capital that he taught to Michael Milken, who explained it to Steve Wynn and others,” Silver says. But for all his acumen Riklis couldn’t help micromanaging. He drove many of his executives to distraction. Then there’s his relationship with Zadora, a Las Vegas love affair for the ages, but one that often found him making costly business decisions on her behalf. Through a journalistic lens, his years with Zadora were spent mostly in the entertainment and gossip pages. Although she was often pilloried in the press for her performance in the 1982 crime movie “Butterfly,” matters grew much more complicated when it rather miraculously won a “New Star of the Year” Golden Globe Award from the Hollywood Foreign Press Association. It turns out voting members of the press prior to the vote had accepted a Riklis invitation to the Riviera for a very Vegas party. Whatever Zadora’s prospects had been, and she was not without talent, they were tarred by her husband’s attempt to buy her way up the celebrity ladder. In recent years, visitors to Piero’s restaurant have enjoyed listening to Zadora sing standards accompanied by piano. While she’ll always remember her years with Riklis, others seem already to have forgotten the importance of the man to the creation of the new Las Vegas.